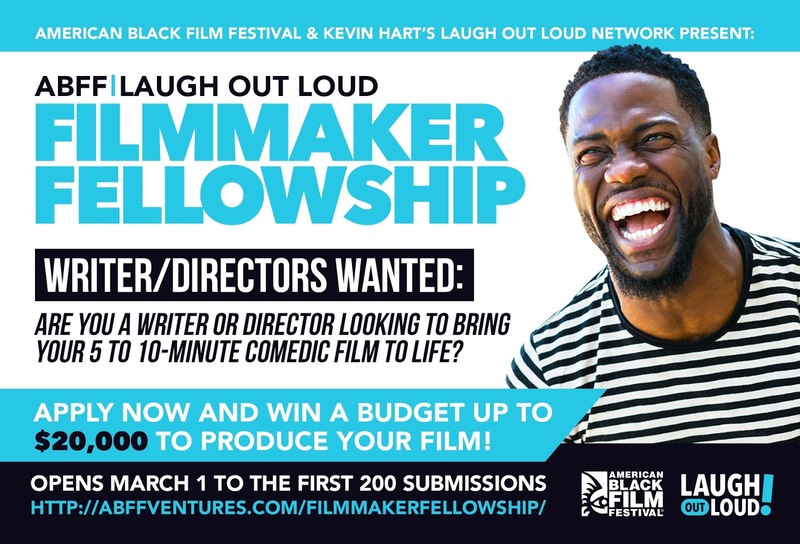 The American Black Film Festival (ABFF) and Laugh Out Loud, the comedy brand and multi-platform network created by Kevin Hart and global content leader Lionsgate (NYSE: LGF.A, LGF.B), announced a new partnership for a filmmaker fellowship showcasing exciting new comedic creative voices. The ABFF and Laugh Out Loud will take submissions for comedic narrative film ideas and scripts that are 5-10 minutes in length and feature diverse casts or have a broad appeal to multicultural audiences, with the top three films to receive a production budget and premiere slot at ABFF. The “ABFF and Laugh Out Loud Filmmaker Fellowship” began accepting submissions on March 1, ending on March 15, 2018 at 11:59 p.m. PST. ABFF has a rich history of unique programs designed to identify and showcase talent, including directors, writers and other content creators. 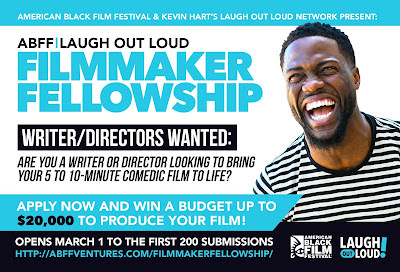 "We're excited about this fellowship program and partnership with Kevin Hart and Lionsgate's Laugh Out Loud network. 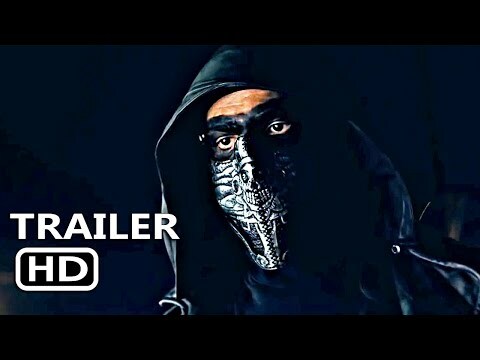 We believe that it will unveil some really talented new writer/directors with authentic and keen comedic sensibility," Jeff Friday, ABFF Ventures CEO, said. After submissions close, a panel will select 20 semi-finalists based on a variety of criteria including creativity, comedic integrity, narrative ability, directing, budget restraints, and target demographic. Judges will then narrow down the list to 10 finalists who will be invited to pitch their submissions to a jury consisting of ABFF and Laugh Out Loud representatives. Ultimately, the judges will select three potential winners who will receive an opportunity to have their project produced by Laugh Out Loud, using a fund of up to $20,000 for each filmmaker and will then premiere their film at the 22nd annual American Black Film Festival in Miami on June 13-17. Only the first 200 submissions received within the entry period will be accepted to the competition.